Evangeline Lilly and Paul Rudd star in "Ant-Man and the Wasp." HOLLYWOOD—I was an absolute fan of “Ant-Man” because it was that Marvel comic that delivered the audience a superhero that was truly flawed. Scott Lang (Paul Rudd) didn’t have this persona of being this holier than though character incapable of making mistakes. He was a petty thief, and as a result he found himself in a precarious situation, where he meets Hank Pym (Michael Douglass), who gives Scott the opportunity to become a hero. 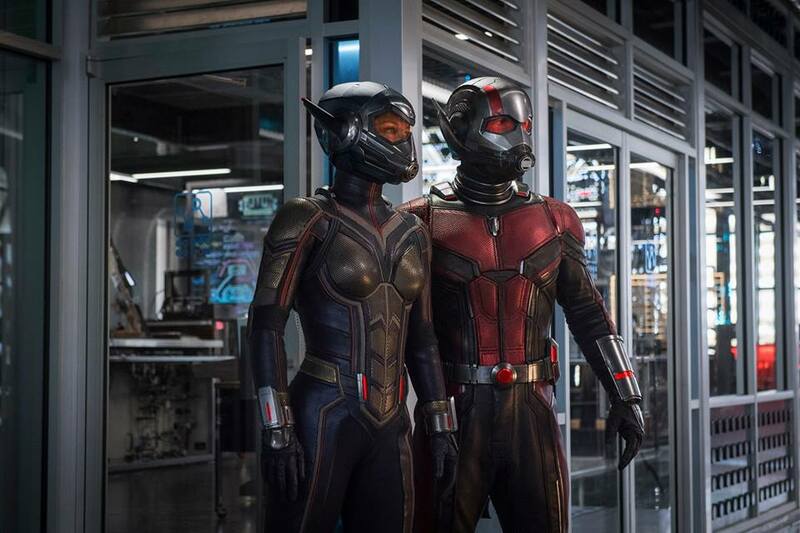 This sequel, “Ant-Man and the Wasp” sees Scott get a sidekick with Hope (Evangeline Lilly) taking on the role of the Wasp, a character made famous by her mother, Janet van Dyne (Michelle Pfeiffer), who Hope and Hank both believe perished when she was trapped in the quantum realm. Yes, that is the one facet of the “Ant-Man” franchise that can win over or lose audiences: science. While a fun realm for some, it’s a complicated subject matter for others, but the writers do a decent job of not using exaggerated terminology to distance viewers lackluster in the physics department. The caliber of actors in this sequel sets the bar high with Pfeiffer and Lauren Fishburne joining the cast. Fishburne portrays Bill Foster, a former pal of Pym who assisted him on previous projects when they were younger. While the film is all about Scott Lang as many would expect, Hank Pym is a very imperative element of the narrative and the more we dig into his past the more we learn about this man who is layered not only with knowledge, but secrets that everyone wants to get their hands on. There is a bit of an evolution to Lang’s character this time around; he’s already reformed his life, his goal is to be a better parent to his daughter, Cassie, and he has commenced a relationship with Hope. In the first flick, the sparks were teased between the two, this time we get to see it go to the next level. Rudd does a fantastic job delivering the comedy for the flick, as does Douglass and Lilly. “Ant-Man and the Wasp” does not take itself too seriously and considering the elements of the film how could it. The script is sharp, witty and paced perfectly. Things never feel as if they’re moving too slow or too fast, but my only frustration would be the villain. In the comic book universe it’s vital to have a villain who comes across threatening or as an equal adversary to our hero. This sequel just doesn’t reach that potential with Ava Starr aka Ghost (Hannah John-Kamen). To be honest Ghost isn’t really a villain, just someone slightly misunderstood. It’s a similar situation viewers experienced with the first “Ant-Man” movie, so I was hoping the writers would make the adjustment with its second outing. With that minor hiccup, the strong advantage is the visual effects. You see things in this movie that you will never see in any other flick and it works because the notion of science gives the audience the opportunity see things that could only transpire on the big screen. Seeing Ant-Man and Wasp go from big to small and from small to big is a ton of fun to watch, not to mention how they manipulate and utilize science to their advantage.